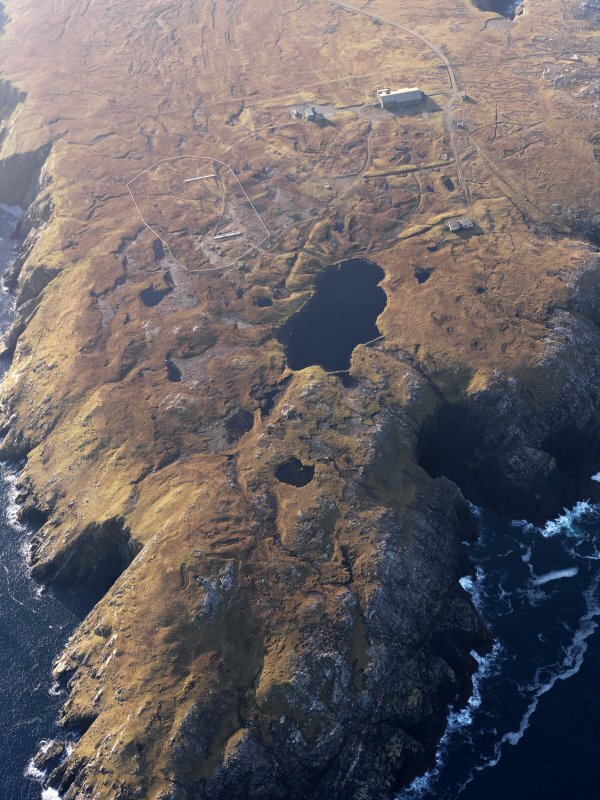 Oblique aerial view of the rotor radarsite at Aird Uig, taken from the SSW. 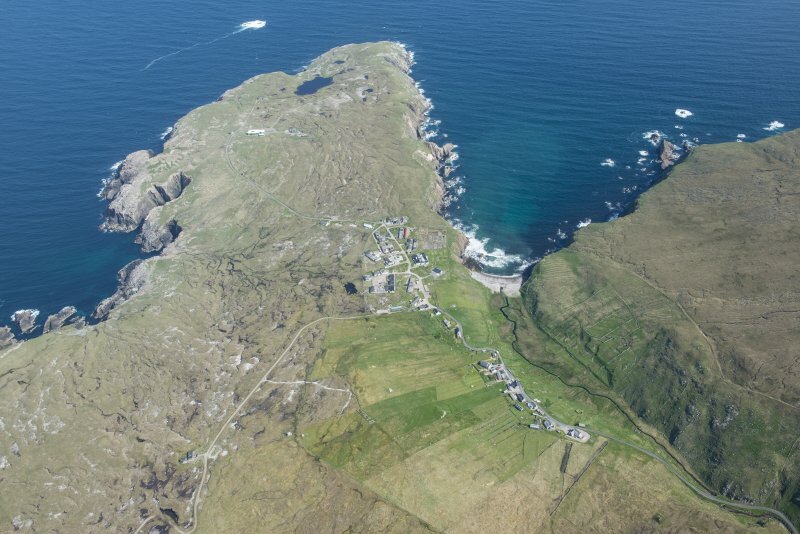 Oblique aerial view of the rotor radarsite at Aird Uig, taken from the NNE. 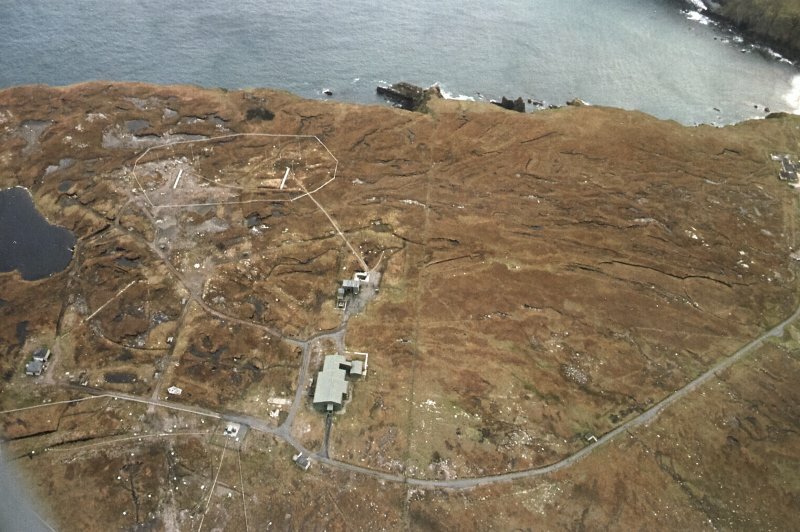 This Rotor Radar Station is situated on high ground to the N of the accommodation camp at Aird Uig. The site is still in use by the Ministry of Defence. 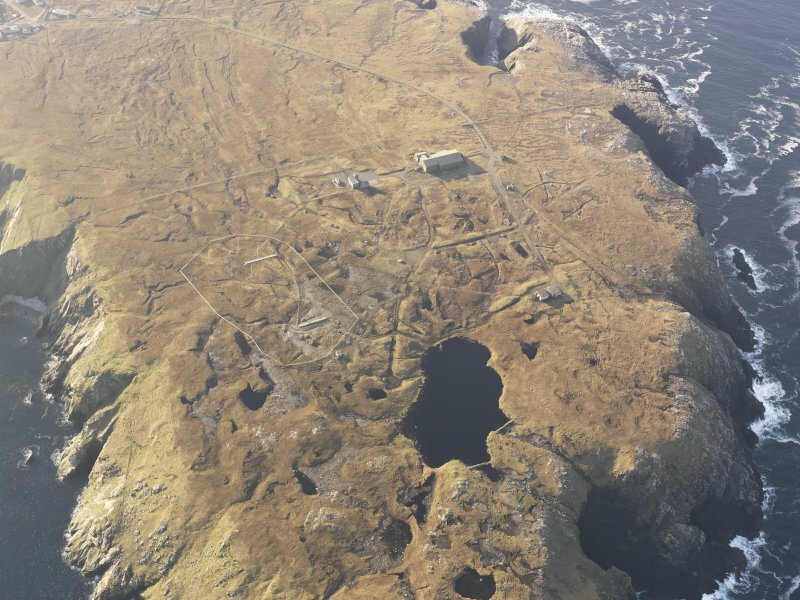 The World War II site is visible on vertical air photographs (CPE/Scot/UK 186, 2395-2396, flown 9 October 1946), situated on the high ground immediately SW of Loch a Rubha-Chaoil. One flat roofed structure is visible on the photographs at NB 04777 93837 and a further group of buidlings can be seen at NB 04729 38739. The Ministry of Defence has, since the war, extensively developed this site. A visit to this site by Mr Martin Briscoe ascertained that the transmit site for the ROTOR Station is at NB 04515 37761. Two buildings are extant, one with five rooms and the smaller is possibly the toilet/ablutions block. There is an engine house with tower base adjacent. The receive site is at NB 04274 37567, the building being slightly smaller and also has an engine house and tower base adjacent. There is a disused electricity generating sub-station is at c.NB 053 369 , which possibly is of the same date as the ROTOR station and another at c. NB 049 368 which may be linked to the water supply.